Come April, Tanzania will be hosting tourists from Israel, when the Tel Aviv-based El Al Israel Airlines launches its once-a-week flight to Kilimanjaro International Airport in northern Tanzania�s tourist circuit. At least 150 tourists from the Christian Holy Land (Israel), will be flying to Tanzania every week, bringing 600 Israeli visitors to Tanzania�s premier tourist attractive sites in the northern circuit every month. The Northern Tanzania tourist circuit is made up of Mount Kilimanjaro, Ngorongoro Crater, the famous Serengeti National Park, Tarangire National Park, Arusha National Park, and Lake Manyara National Park, famous for its rare tree-climbing lions. The flights between the Holy City of Jerusalem and Kilimanjaro International Airport will be carried out by an El Al aircraft, operating as a charter flight. Tel Aviv-based travel company, Menelik, will be organizing tours between Israel and Tanzania, said Ronit Hershkovitz, the company�s Managing Director. From Tanzania, pilgrims heading to Jerusalem will book the El Al Airline back to Israel for a five-hour direct flight between Tanzania and Israel, Ronit said. While Israeli tourists will be visiting Tanzania mostly for wildlife photographic safaris, Tanzanian travelers to Israel will be visiting the holy cities of Jerusalem, Bethlehem, Galilee, and other Christian historical sites of Israel. Trips to the Christian holy cities cover most places where Jesus Christ spent his days and life including Jerusalem, Joppa � where prophet Jonah boarded a ship to Tarshishi, Caesarea � where prophet Paul was imprisoned, and Nazareth � where Jesus spent his early years. Other holy places falling under the just-released 2006 itinerary are Capernaum, Tiberias, the city of Jerusalem, Golan Heights, Judean Hills, Galilee, Negrev, and the coastal plain of the Red Sea. The two airports in Tanzania, Julius Nyerere International Airports (JNIA) and Kilimanjaro International Airport (KIA) scooped the top awards during the 8 Routes Africa event which was held in Kampala, Uganda on the 7th to 8 of July, 2013. The award presentation event took place on the stunning Lakeside Pool Lawns of the Speke Resort, which sits right on Lake Victoria, Uganda, Kilimanjaro International Airport was announced as winner of the African heat of this year�s Routes Airport Marketing Awards. Over 300 aviation professionals were gathered to witness the presentation of the awards and to take part in the 8thRoutes Africa � the largest route development event for the entire African region, which this year is hosted by the Civil Aviation Authority of Uganda and Entebbe International Airport. 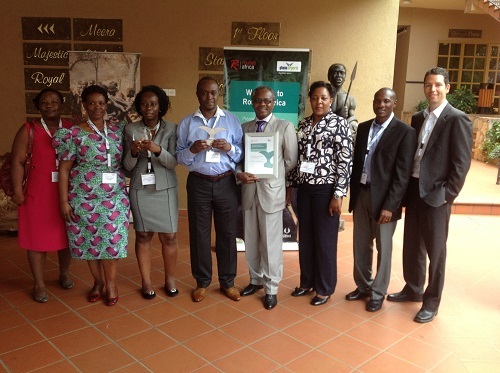 KADCO Representatives in a group photo after being presented an award. �This has been one of the most amazing evenings for us at Kilimanjaro International Airport to win this award,� said Christine Mwakatobe, Business Development Manager, Kilimanjaro Airports Development Company, after collecting the award. �We would like to thank all of the airlines that serve the airport for voting for us in this process and we are pledging our commitment that we will keep working hand-in-hand with all of our partners. Thank you for trusting in us and believing in us and giving us this wonderful opportunity to show the rest of Africa what we are doing at Kilimanjaro International Airport.� she added. 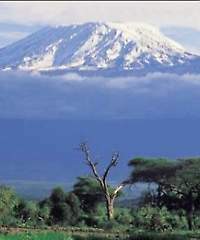 Africa Travel Magazine's editors look forward to a return to Kilimanjaro to greet first dawn of the New Millennium from Africa's tallest mountain. It's all part of a special tour sponsored by the Tanzania Tourist Board and supported enthusiastically by this magazine. At his very first sight of Kilimanjaro International Airport from the Alliance Air jet, and later at the ATA Tourism Marketing Congress in Arusha, Editor Jerry W. Bird commented that this airport was a place of destiny and opportunity. How true his intuition proved to be, when a news release arrived from London six months later. As we learned by our travels in Tanzania, and several safari experiences, it Is the nearest international airport to the Serengeti and Ngorogoro wildlife reserves. The stage is set for major land development by Mott Macdonald, a £220 million independent development and engineering consultancy working in over 100 countries World-Wide. Its track record in transport ranges from the Channel Tunnel and London's Heathrow Express rail link to Hong Kong's famous Tsing Ma Bridge and new airport terminal. The firm's airport portfolio also includes design, operational and financial planning of over 50 airports around the world, recently including South Africa's airports in Durban and Cape Town, Toronto's new terminal expansion, Bulgaria's Bourgas airport and TNT's super hub at Lewige. Most of the staff employed by KADCO will be Tanzanians who will undergo a comprehensive training and skills upgrading by the small number of experienced expatriates brought in to assist startup and manage operations during the initial phases. Mott MacDonald Group, St. Anne House, Wellesley Road, Croydon CR 9 2 UL, United Kingdom. Kilimanjaro International Airport is strategically placed to help boost tourism in undeveloped regions of northern Tanzania. It already offers a scheduled service from London's Heathrow and Amsterdam Schiphol. The airport's 10, 900 hectares of real estate and surrounding land is part of a large, ongoing development. In late 1998, Kilimanjaro Airports Development Company (KADCO) began a 25 year concession to operate Tanzania's Kilimanjaro international airport in a public/private sector joint venture with the Tanzanian Government. This paves the way for much-needed investment in the facility at Kilimanjaro, creating Africa's first fully privatized international airport. Airport management is being provided by Schiphol and operations management by UK CAA International Services, while Mott MacDonald is fulfilling the role of airport general manager and KADCO director. Their first task is to modernize the existing airport facility to bring it up to international standards. This will entail upgrading of safety systems and equipment, staff training, setting up of modern management systems and the long overdue refurbishment of terminal facilities. At the same time KADCO will launch a marketing campaign aimed at developing the airport's tourism potential. More to come.